While many of us have been rushing around the past few weeks getting ready to celebrate the birth of our Savior, others are experiencing tremendous loneliness. They have been trudging through the holidays just waiting for the new year to be ushered in. Many of these lonely and hurting people will be sitting in your pews this Christmas. You may never realize the depth of the loneliness they are experiencing. This widow’s sentiment is what so many hurting people feel as they muddle through the holidays. Because of the anticipation that everything will be easier once life gets back to a normal routine, the hardest time seems to be the few days before Christmas Day and the week between Christmas and New Year’s Day. 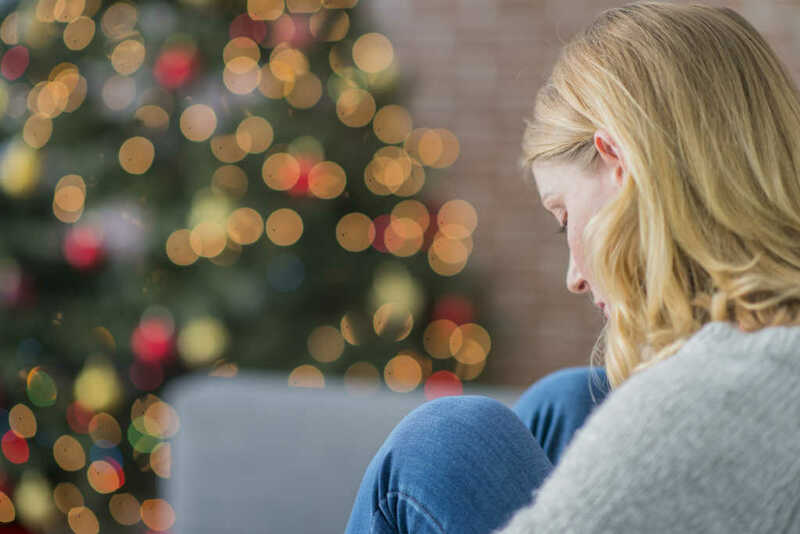 Here are some practical tips that can be used to help hurting, lonely people in your community to survive the holidays. Normalizing the emotion of loneliness over the holidays is key in helping people cope with it. Everyone needs to know that intense loneliness over the holidays is a normal, expected emotion for people who have experienced a loss. Lonely people in your community may look around and think they are alone in what they’re feeling. They are so caught up in the personal crisis that they’re not aware that other people in the room are experiencing the same thing and possibly on a deeper level. All they know in their small, hurting world is that they feel isolated and forlorn in their hurting. I know how they feel because I was there at one point in my life. My husband died at the end of October. My grown children lived out of town. To top it off, my house flooded a few days before Christmas. On Christmas Eve I sat in my house with my furniture up on bricks, the carpet torn out, and my heart filled with sorrow. I had never felt so alone. I didn’t want to face the next day or even the next week. I wondered how on earth I was going to get through New Year’s Eve, a night that had always been so special and personal for my husband and me. When I went to church, I was sure everyone in the congregation had special plans for New Year’s Eve. I was sure there was no one in that entire room who was as lonely as I was at that moment. Lonely people may even wonder if God knows how lonely they are. Remind them of God’s promises in Scripture of His constant, abiding presence. Remind them that no matter what they are feeling, the truth is that God is there with them. Many times church leaders plan events surrounding the holidays months in advance. However, as the holidays catch up to the actual events, it’s important to take a few minutes to assess how your events will be perceived by the widower who just lost his precious wife to cancer, the young couple who miscarried, the newly divorced person, or other people in your congregation who have experienced a crisis. Perhaps the widower who lost his wife to cancer could be forewarned that the Christmas musical drama touches on a sensitive issue (such as a young mother’s illness and death). He can then determine if it’s going to be too intense for him to attend this year. Or take this situation with David, a divorced father. David’s church had planned a New Year’s Eve party. New Year’s Eve fell on the weekend his kids were at their mom’s house, and he was excited that the church offered something to help him keep his mind off his kids. He was also looking forward to spending time with other single parents. New Year’s Eve day it snowed all day, but that didn’t deter David. It took him almost two hours to drive to the church, but when he arrived, he saw that the parking lot was empty. For David, this felt like a slap in the face. He shared with me later that while he understood that the minister who oversaw this event had a family and probably wanted to be at home with his family all warm and cozy, for David and the others who had no family that night, it made them feel lonelier than ever. He said even if they had just worded the message differently, it would have helped. Think about the situation with David in the story above. What if a family in the church, seeing the inclement weather, had texted him earlier in the day and asked him to join their family that night for New Year’s Eve? Build an awareness in your church members of the need to reach out to others in the body who might be alone over the holidays. Many church members may be out of town on Christmas Day or New Year’s Day, but they could still text or call the lonely widower or the divorced mom. The main thing is to let the lonely know that someone is indeed thinking about them and remembering them. Another suggestion is to pair up a family in the church with a single-parent family. The week between Christmas and New Year’s Day, encourage the family in your church to reach out to the single-parent family. They could invite them over for coffee or have a little tea party for the girls and a hot chocolate drink-out-of-sports-cups event for the boys. Even better, if the single parent has to work, which most single parents do over the holiday vacation when school is out, the children from that family could be invited to spend time with the children from a stay-at-home-parent family. Probably the most practical tip of all is to send a handwritten note. It can be done during the week between Christmas and New Year’s. This will tell the lonely that they were remembered and are being remembered during this lonely time. It will give them hope to know you or someone at your church took the time to actually write them a note. It doesn’t have to be a Christmas card or on fancy stationery. “Healing from grief happens in the context of community,” says David Bueno Martin, a featured expert in Surviving the Holidays. “I don’t know of any other way of finding healing that is not in the context of finding others who can help you.” Surviving the Holidays is a two-hour, video-based seminar that churches can host during the holiday season. It offers practical suggestions and hope for people grieving the loss of a loved one. There’s a version of Surviving the Holidays for people grieving a death and for people hurting from the pain of divorce. After a divorce or the death of a family member, starting new traditions can actually lessen the loneliness. It can help focus the attention away from what brought the lonely person to this point in life. It can give new life to the lonely. The following simple suggestions can help hurting people to make slight adjustments in their perspective and not be bogged down with constant reminders of things that make them sad. But keep in mind, while new traditions are good, it’s important to remember the value of past traditions and to keep some of those as well. The suggestions below will help hurting people to not focus solely on what’s behind them, but to start looking forward in small ways, one moment at a time. Move the Christmas tree to a different location, or choose to decorate with fewer ornaments or new ornaments. Bake a different kind of cookies and share them with a neighbor, a shut-in, or a single-parent family. Make different plans for Christmas or New Year’s Eve. One single mom, the first Christmas after the divorce, took her fifth-grade son on a cruise. It is a new memory he will always cherish. Make plans to purchase the entire Christmas Day meal from a restaurant or grocery store that specializes in holiday meals instead of doing all the cooking. Think of a way to help another person enjoy the holidays. Every year my kids and I would drive through the Rhema Bible Center’s Christmas lights display in Broken Arrow, Oklahoma. After they were older and no longer living at home, I was facing a very lonely Christmas. I decided to do something new that year, and I took a little 5-year-old boy from a single-parent home to see the Rhema Christmas lights. To him it was like walking in a fairy tale. I got to experience the lights from a new perspective, and it lessened my loneliness tremendously. It brought joy and laughter to me and of course to him, too. Help the hurting and lonely to remember this season is about the birth of our Savior. This fact seems to get lost many times, and when the lonely can be reminded of this, it will help them focus on the reason for the season. This holiday is about suffering. This holiday is about pain. [Jesus] came to end suffering; He came to end death; He came to end sin, brokenness, pain, destruction, and discouragement. So this is the sufferers’ holiday, rather than the holiday to be avoided. As a sufferer, I ought to run toward Christmas. Christmas tells me there is hope for people like me who are going through what I’m going through. Christmas guarantees that God has, will, and will continue to address what I’m going through. Linda Ranson Jacobs is one of the forefront leaders in the areas of children and divorce, and single-parent family needs. Having been both divorced and widowed, Linda was a single mom who learned firsthand the emotional and support needs of broken families, and she developed a passion to help hurting families. As a children’s ministry director, children’s program developer, speaker, author, trainer, and therapeutic child care center owner, Linda has assisted countless single-parent families and their children.